The Park Plaza is a 79-unit tax credit community located in Los Angeles, CA. The property is currently accepting applications for the 2 bedroom waiting list only. This property accepts Housing Choice (Section 8) and VASH vouchers. The newly renovated property features a spacious community room with a full kitchen, exercise room, and computer lab. The one, two, and three bedroom units include updated appliances, cabinetry, and flooring. 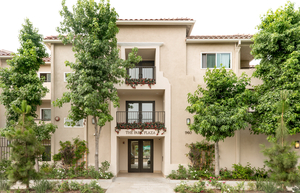 Residents also enjoy access to a new laundry facility and lushly landscaped courtyards. The Park Plaza features on-site management and daily maintenance personnel. Resident services include monthly birthday parties and weekly tutoring sessions.